clear waters off the beaten track. Sunshine Coast's hidden gem is only accessibly by 4WD vehicle's along the Great Beach Drive and boasts as the easiest, longest wave in Australia. No crowds, this place is a once in a life time experience and is often passed by many travelers that simply don't know it's there. Ride crystal clear waves 100's of meters long even as a beginner! Not a surf lover? Then explore the headland or relax on the beach. 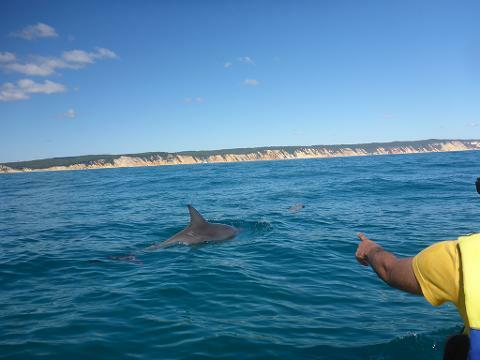 The crystal clear warm waters set in the Great Sandy National Park are often buzzing with local marine life. 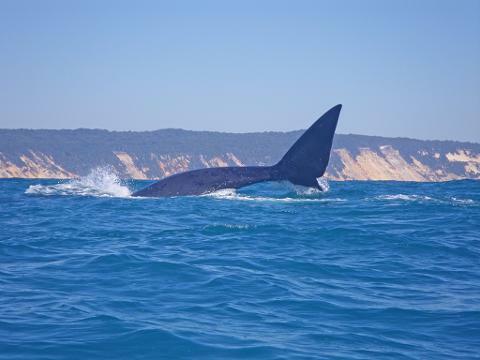 Large pods of dolphins, whales (20,000 passed last season), turtles, rays and sea birds are all frequent here. 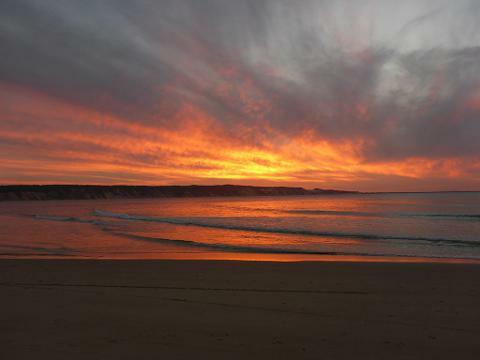 What's included: 4WD Great Beach Drive experience, Double Island Point fun, National Park entry. Option to hire surf equipment. 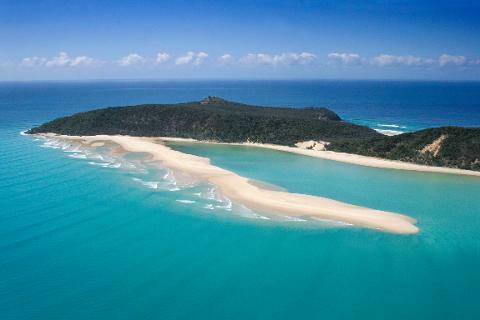 - Hidden gem of the Sunshine Coast > only accessibly by 4WD vehicle’s along the Great Beach Drive. - National Park adventure > get back to nature and a unique Australian experience. - Untouched paradise > dolphins, whales, turtles, rays, sea birds are all frequent here. - Australia’s longest wave > sandy point break 100’s of meters long. - Relax, play or explore > crystal clear warm water, beautiful bush walks, waves, fun. 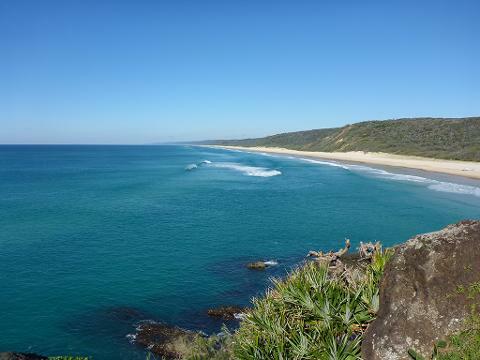 Departure: This tour departs Rainbow Beach on Queensland’s Sunshine Coast and is located 1.5 hours north of Brisbane. Please meet 15 minutes before departure at: Epic Ocean Adventures, Shop 1/6 Rainbow Beach Road, Rainbow Beach, Queensland, Australia 4581. 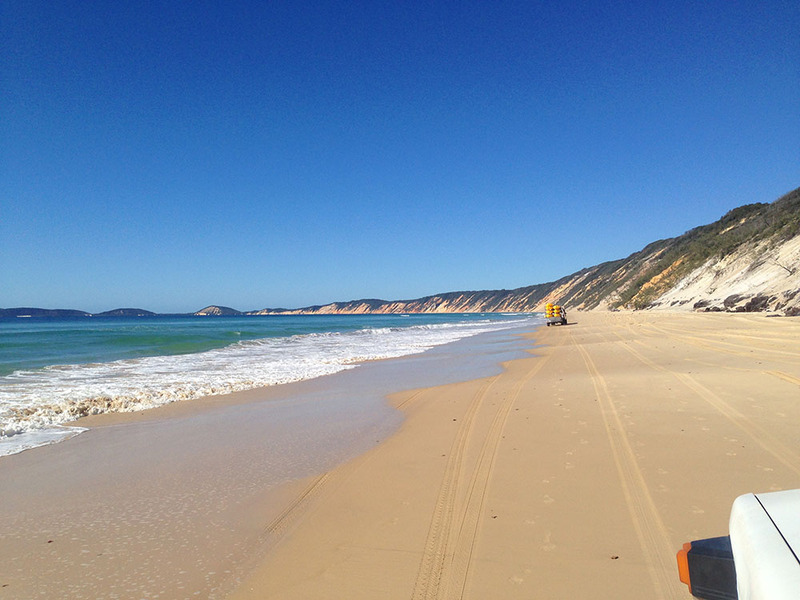 - Depart Rainbow Beach in specialised 4WD vehicles. 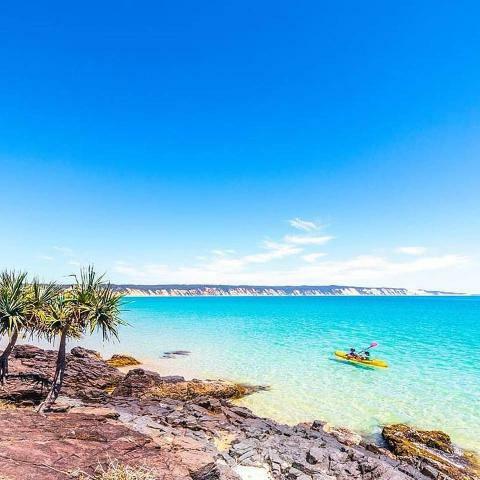 - Experience the thrill of the Great Beach Drive passing the stunning Rainbow Beach coloured sand cliffs & Fraser Island views. - Home to Australia’s longest beginner waves & many Australian wildlife. - Return trip along the Great Beach Drive back to Epic Ocean Adventures, Rainbow Beach. - Large range of board and beach hire is available on the day subject to availability.